Choose wisely and you can still eat out. CONTRARY to popular belief, you don’t have to forgo your social life while on a detox regimen. Giving up on certain foods doesn’t mean avoiding restaurants altogether, especially if dining out is an important element of your social well-being. That said, certain types of restaurants and dishes are more likely to be in line with your detox diet than others, so it all comes down to choosing wisely. Most nutritionists agree that there is something to the Mediterranean diet, with its emphasis on fish, whole grains and healthy vegetable oils. Restaurants serving cuisines from this region (Greek, Italian, Egyptian, Lebanese, etc.) are likely to offer at least a few dishes with healthy portions of detox-boosting vegetables. Avoid fried foods and rich sauces, obviously, and seek out salads or other veggie-based dishes, whether raw or cooked. Cucumbers, peppers, tomatoes, fennel, mushrooms, turnips, spinach and radishes are just a few of your detox allies, along with whole grains such as whole wheat pasta or rice, quinoa or bulgur wheat. Polenta, in reasonable quantities, also presents certain benefits to those on a detox diet, as it is usually gluten-free. For dessert, opt for dishes with dried fruits and nuts such as prunes, almonds, apricots, figs, raisins and dates, or with pomegranate when in season. Whether your preference is for Thai, Chinese, Japanese or Malaysian food, you’re bound to find a number of detox-friendly dishes on the menu. Here as well, avoid rich sauces and fried foods and stay away from sushi, which generally contains more sugary rice than fish or vegetables. Opt instead for sashimi, steamed dishes and broth-based soups with plenty of detox-friendly foods such as soya bean sprouts, coriander, cabbage, bok choy, spinach, ginger or seaweed. Or order a salad with some of the same greens, packed with vitamins and fiber. And don’t hesitate to order a pot of green tea for its antioxidant properties. Round out the meal with fresh mango or preserved ginger slices. 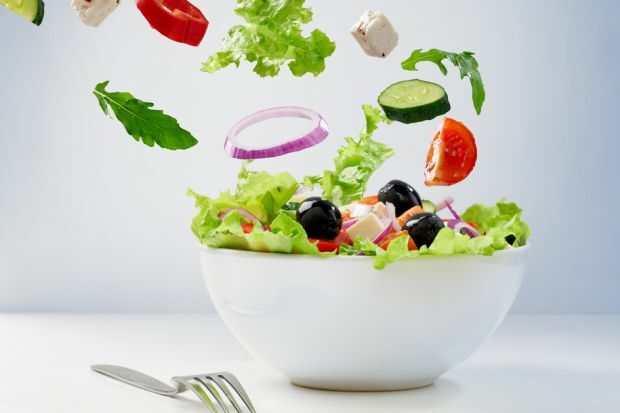 You don’t have to be a strict vegetarian to appreciate the cuisine offered in meat-free restaurants, especially when you’re trying to boost your intake of healthy fruits and vegetables. But don’t let your guard down: vegetarian doesn’t always mean detox-friendly. Steer clear of soya-derived processed dishes, with the exception of all-natural foods such as tofu or tempeh. Ask your waiter exactly what’s in that veggie burger before ordering, and make sure the bun is whole grain. Usually, though, vegetarian restaurants offer a multitude of vitamin-rich soups, salads, whole grains and bean dishes that are ideal for those on a detox programme. To really do your body a favour, add a freshly squeezed fruit and vegetable juice and a fruit-based dessert.